Can’t believe I ended up with this! So when the initial mockups were leaked along with the specs, despite my interest I had decided I would pass on this one. Too big, too thick, too expensive. 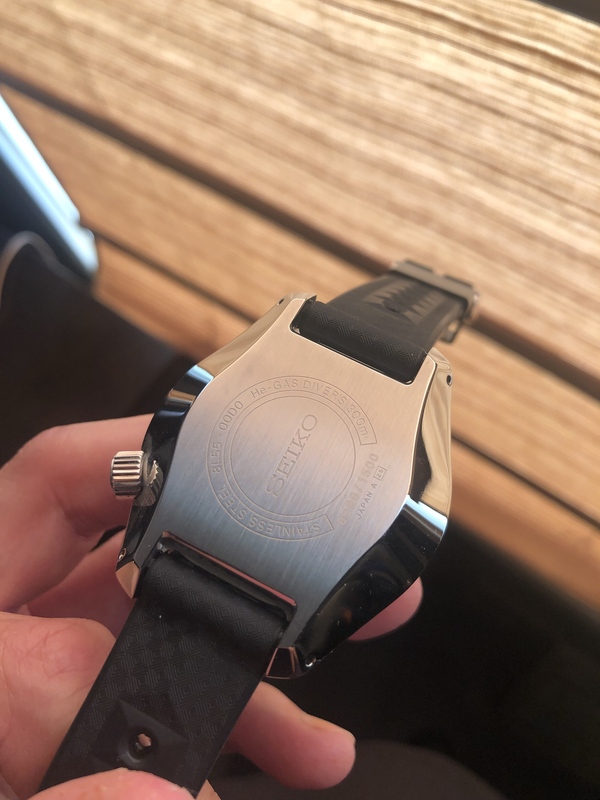 So the watch launched and slowly but surely when actual owner pics began to surface, my interest in the watch began to climb again. 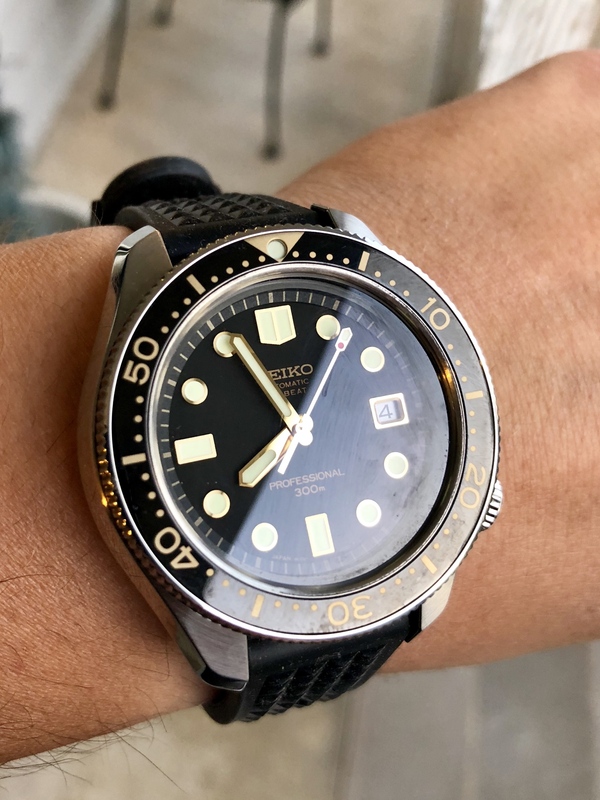 It really looked *so* much better in owner’s private shots than any of the promotional material, and as a certified Seiko fanboy I questioned my own commitment to the cause in not having ever owned their 36k bph movement before. So sure enough, I was able to work a deal trading in one of my more expensive pieces to soften the blow and here it is! 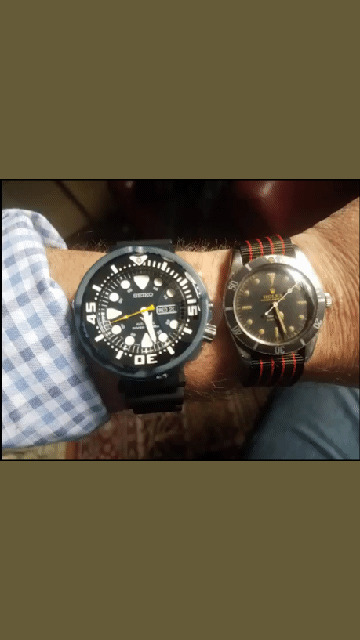 It’s sort of a kicked up Marinemaster 300m, except it wears noticeably larger on the wrist as the dial is bigger. 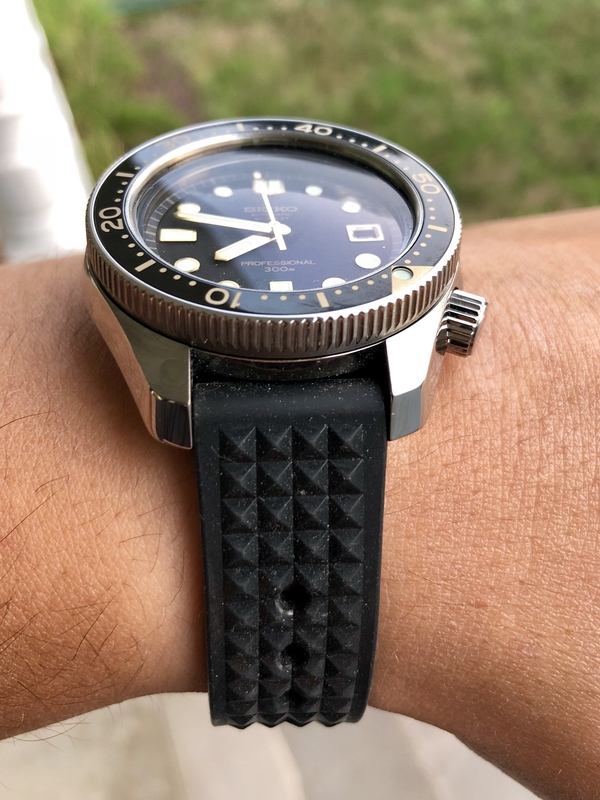 The flat beveled back and comfortable strap definitely help it sit and wear nicer on the wrist, moreso than I had anticipated. 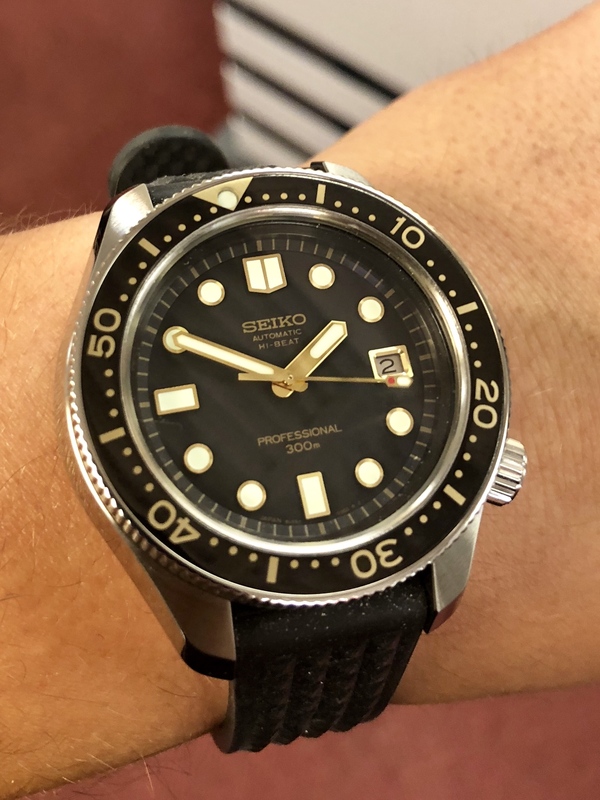 I am not particularly a fan of large watches, but I’ve completely given up on expecting Seiko to launch their 36k bph movement in a reasonably sized watch. And you know something? I don’t hate it (how it wears). 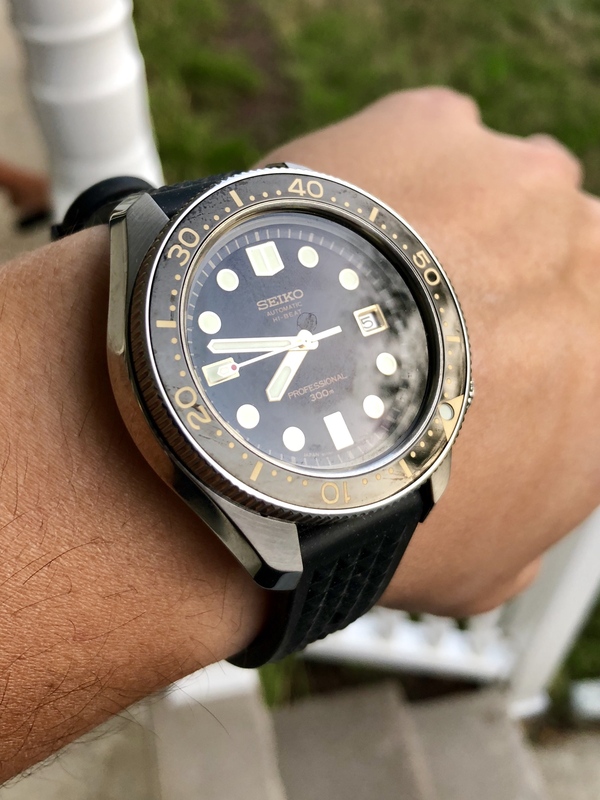 The watch is so tastefully executed (it’s not overly blingy despite the polish and gilt accents), the overall look is so strong (historical panache, combination of old and new), and it wears so well (damn the strap is comfy! ), that I’ve been willing to overlook all the things that initially turned me off from it. Time will tell if this will be a “long haul” piece for me, but I am more than pleased with it right now. Happy to report it keeping time to +2 SPD as well. Last edited by SaoGage on August 6th 2018, 9:13am, edited 1 time in total. 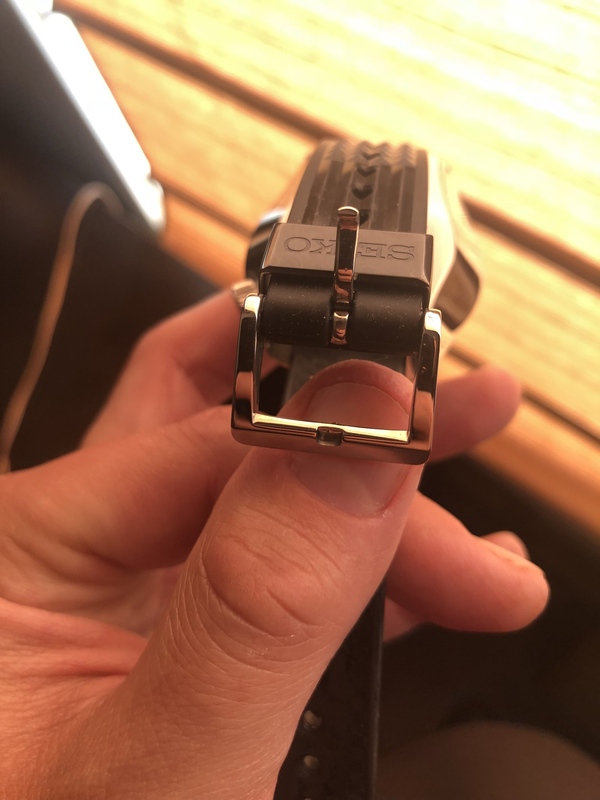 They added a really nice buckle to this strap, definitely way higher caliber then what’s on their normal rubber straps. Another homerun! You're on a roll Mr. Gage. I love the black and gold color combination. Pretty cool. But. 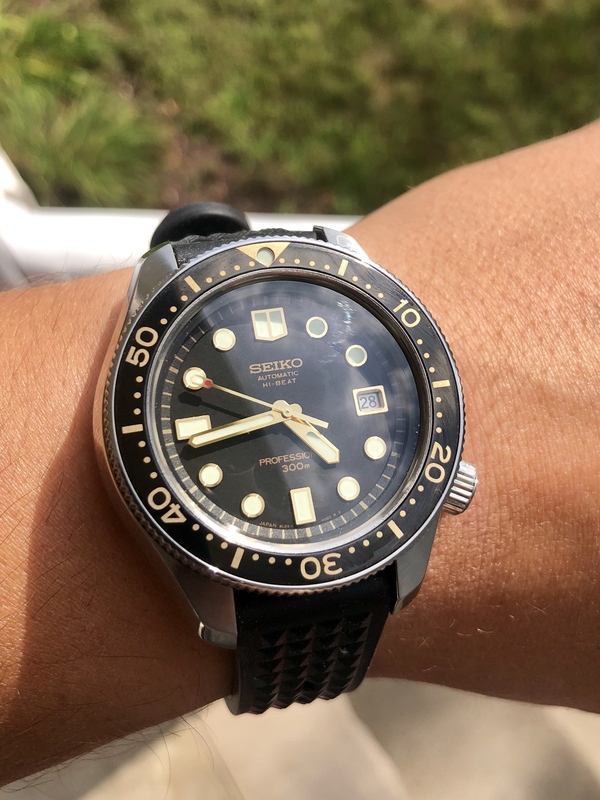 ... how's the lume? Good fella with a good watch. All is right with the world. Enjoy it, man.